Because Google makes the Android software used by almost all non-Apple phones, you’d expect its devices to lead the way. In reality, it’s Nexus and Pixel smartphones have had a patchy record. 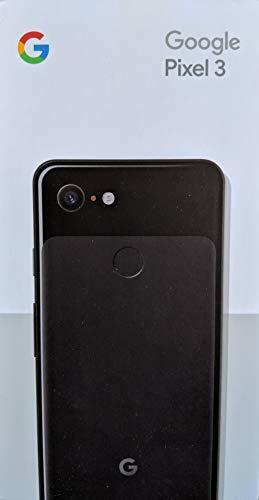 Read our Google Pixel 3 Review. Launched with great fanfare in 2016, the Pixel was distinctive but not groundbreaking. It did have a great camera, and this third incarnation continues that trend. It needs more than that to justify its price tag, more than last year’s Pixel 2 – which, gallingly, remains on sale with no price reduction. The back panel – in white, black or ‘not pink’ (it’s pink) – still has a two-tone design, with matt glass going up to a polished top inch. The difference is subtle enough to miss from some angles, and seems a bit pointless. Above the join is the single camera and its LED flash, and below is the fingerprint reader. What, no dual camera? Well, that’s on the front. The combination of regular and wide-angle lenses with depth-simulating effects produces the best selfies we’ve seen. The rear camera is nothing special on paper, but Google’s HDR+ image processing pulls superb photos out of it. It not only ticks the technical boxes for colour, exposure and dynamic range but gives a lovely natural look. With no telephoto or wide-angle, though, you’re still limited in the shots you can get. Where Google certainly has the advantage is being first with the latest Android update, in this case version 9 (Pie). It comes with a mildly updated Pixel Launcher user interface and some other unique tweaks, including call screening with transcript (you can see the voice message someone is leaving you typed on screen, which is great for avoiding nuisance calls – see screenshot below) and automatic silencing when you put the phone down on its front. That’s a neat idea, as is the optional Pixel Stand: a wireless charging stand that turns your Pixel 3 temporarily into a Google Home Hub. If you don’t fancy this feature, other Qi wireless chargers are also compatible, and a USB fast charger is included. 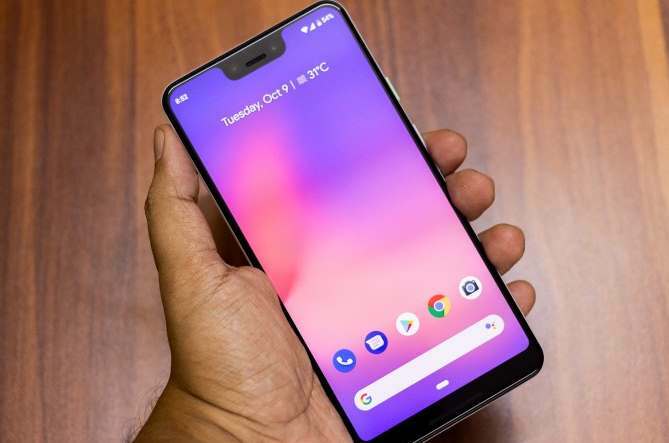 The Pixel 3’s tall OLED screen doesn’t quite fill the glass front, but at least you don’t have to put up with a notch. Brightness isn’t the best, but with accurate colour and extremely high contrast, it looks great, and a polarising layer helps it fight off glare from the sun or strong lighting. The case is waterproof, and inside the Snapdragon 845 processor – nearly as fast as the chip in Samsung’s Galaxy S9 – keeps everything smooth, including 3D games. Unfortunately, battery life, at 12 hours 22 minutes in our video-playback test, is a weak point. You get 64GB of storage as standard, but, like iPhones, Pixels lack a microSD card slot for more. Hi. the person you’re calling is using a screening service from Google, and will get a copy of this conversation. Go ahead and say your name, and why you’re calling. Last year’s Pixel 2 XL used a different screen technology and suffered quality- control problems, with many users reporting a flickering effect. There’s no sign of any such fault with the Pixel 3 XL, but its 6.3in 2960 x l440-pixel screen has its own little quirk. Unlike the smaller handset, the screen goes right to the top, with a notch for the dual front cameras. In all other respects it’s very similar, but of course even more expensive. Even if you like a big screen, that might be a budget stretch too far.